The Goods and Services Tax (GST) is a complex exercise that has caused much confusion and need for clarity. In simple terms, it is destination based consumption tax on the supply of goods and services. India decided to have the dual GST model where both the Centre and the states would levy and collect GST on a common tax base, keeping the principle of cooperative federalism in mind. There are three components of GST—Central GST (CGST) and States GST (SGST) for supplies within a state where the state share remains within the state, and Integrated GST (IGST) for inter-state supplies where the state’s share does not remain within the origin state, but goes to the Destination State. A major challenge was to ensure that a taxpayer has interface with only one of the two tax administrations—Centre or the state in the both the cases of intra- state and inter-state supplies. 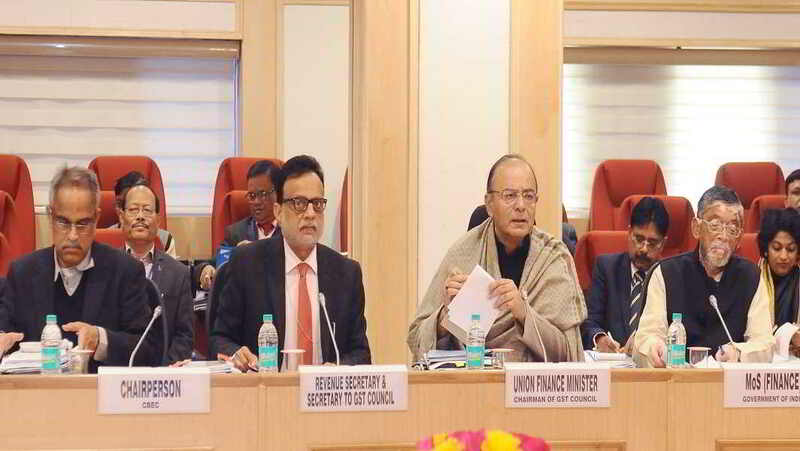 The GST Council, after its ninth meeting, sought to resolve it through cross-empowerment of the states by the Centre and vice versa through following decisions. 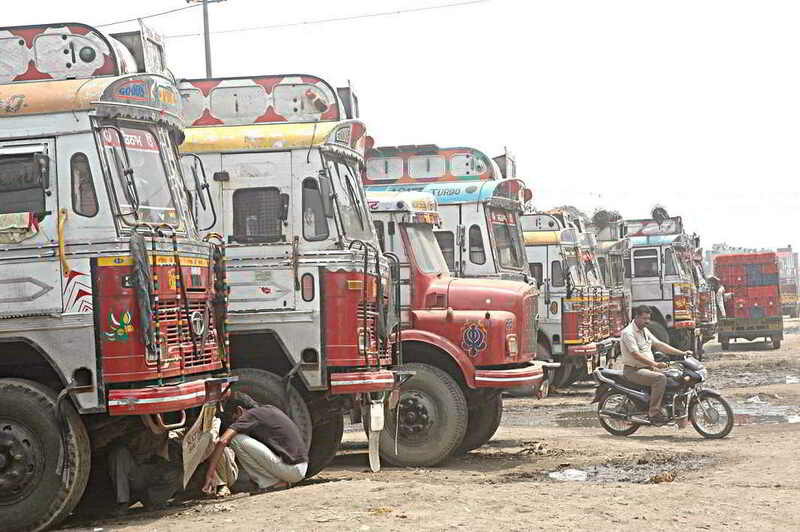 Trucks await clearance at an inter-state checkpost. For intra-state supplies by the taxpayers below the threshold of Rs 1.5 crore, the decision was that the states would administer both SGST and CGST for 90 percent of the taxpayers, leaving the balance 10 percent for Centre. Above this threshold, the taxpayers base will be divided 50-50. Even for administering IGST, the tax payer base will be divided in the same two ratios. However, if there is a dispute between the states over determination of the “Destination State”, the IGST would be administered by the Centre. The determination of Destination State is key to determining which state will receive the state’s share of IGST. Audit will be capped at 5 percent of the total number of taxpayers, based on risk factors. The auditees will be shared between Centre and the states through a computer based programme. As for intelligence based enforcement work, this will be in the domain of both the Centre and the states. The question is—in light of the amended Constitutional provisions, are the decisions regarding the aforesaid cross empowerment legally tenable? A reading of the Articles 246A and 269A thus makes it clear that for inter-state supplies, Parliament has the exclusive power to make laws relating to GST, and the Centre has the exclusive power to levy and collect IGST. Article 269A further clarifies that IGST so collected will not be apportioned between the Union and the states. The pre-amendment provision of Article 269 reads “Taxes levied and collected by the Union but assigned to the States.” The dictionary defines the word ‘assign’ as “to give a particular job or piece of work to someone”. The amended provision omits “assigned to the states”. The delegation of power by the central government to the state government under Article 258 is an extraordinary power in extraordinary circumstances like, for instance, when the central bureaucracy is not available or not competent enough to undertake a particular job. In the present instance, there exists an experienced tax administration under the Central Board of Excise & Customs. Further, under this scheme, assessment errors by the state government officers would go outside the parliamentary oversight through the Comptroller and Auditor General and Public Accounts Committee. On the other hand, the CBEC tax administration is answerable to Parliament. Power and accountability have to go hand in hand. A close scrutiny of Articles 268 to 270 would show a fundamental design feature that taxes are administered by the government to which the tax accrues. IGST does not accrue to the origin states, therefore they cannot administer IGST. In the technological scheme of IGST, the destination state cannot be pre-identified and tasked to administer IGST Thus, Article 258, an extraordinary construct, cannot supersede an explicit declaration in Article 269A that IGST be levied and collected by Centre. Another issue relates to the possibility of disputes between the origin state and the destination state. Delegation of IGST powers to the origin states means empowering a third party to adjudicate on revenue which belongs to the destination state and the centre. Further, in the decision regarding IGST there is a rider that in cases of dispute between two states regarding place of supply, the administering of IGST would vest on the Centre. Finally, on the issue of cross empowerment in IGST the Union law ministry has categorically opined that the power to levy and collect IGST vests only with the central government. Cross empowerment between Centre and States on collection of CGST and SGST in respect of intra- state supplies is fairly acceptable in the absence of any bar like the one in respect of IGST. It is everybody’s case that in the GST regime taxpayers should have interface with only one tax authority. Therefore, the tax base has to be divided between the Centre and the states in consonance with constitutional provisions, and it has to be equitious. Sharing a portion of the tax base 90-10 in favour of the states is unfair and inequitious. GST is like a joint venture between Centre and the states and equal sharing of the entire tax base for intra state supplies is essential for its success.